Instagram that is fast becoming the choice of people when it comes to sharing pictures. 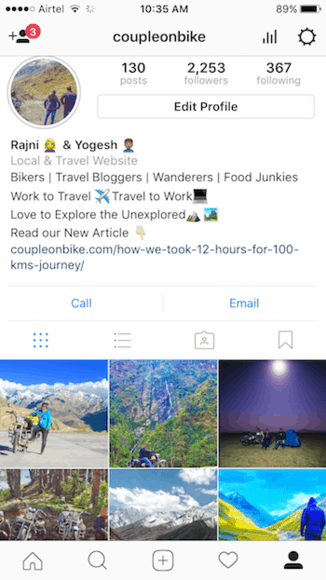 The features that Instagram comes endowed with are worth drooling over. From stickers, selfie stickers, boomerang, hands-free video and likewise, there are some really incredible features of this one cool social networking tool. I love checking out the immense data of images that people share on Instagram. 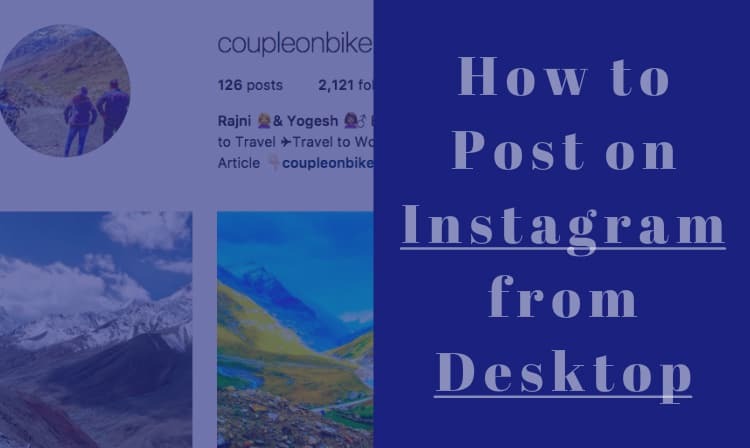 You can even upload photos from desktop to your Instagram account these days. Well, I won’t take long to come to the point. 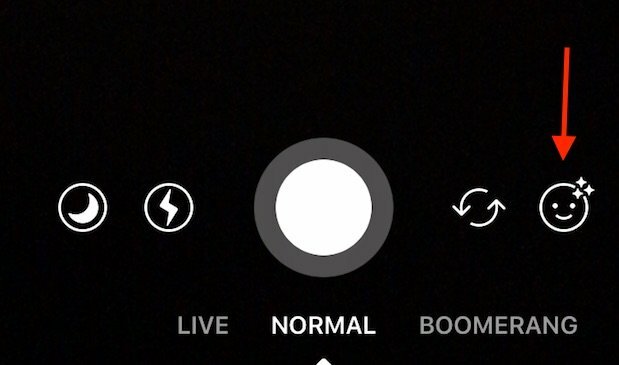 To cut the long story short, Instagram has recently been adding the features that are introduced by Snapchat. Instagram is here once again with some new features that users gonna love. What’s it? One of the new feature is that it lets you add face filters to your Instagram stories. Now that’s something really awesome. 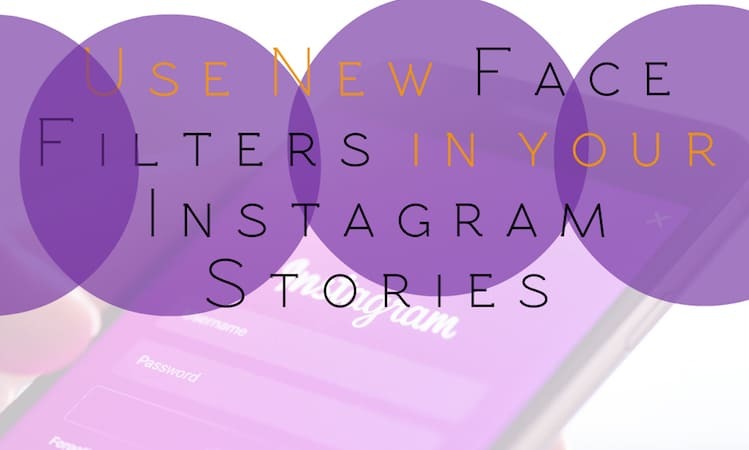 It goes by the name ‘Face Filters’ and to using these face filters in Instagram Stories, you don’t have to follow strict instructions or undergo a lengthy process which turns out to be a daunting task. Just follow the simple steps that will help you to use new Face Filters in Instagram Stories. 1. If you don’t have an updated version, update your Instagram app to version 10.21. Open the Instagram app and swipe right to open the Stories camera. 2. Find the new Face Icon which is placed in the bottom right corner. 3. There you will find 8 Face Filters that will be superimposed on your face while applying. 4. Filters like various crowns, koala ears, black rimmed glasses with crazy math equations can be made optimum use of to make your images all the more happening. 5. Just incase, you are unable to see the Face icon, simply Force Close and reopen the Instagram application. 6. Select a filter, and enjoy making fun changes in your images. 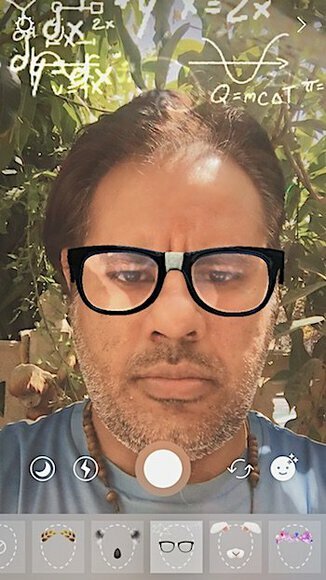 See, I told you how easy is to use the new Face Filter in Instagram Stories. Yes, you read it correct, there are more features in the new Instagram update that have been added to enhance the user experience. Users will now be able to add a Hashtag Sticker to their story instead of monotonous type plain text hashtags. This will let viewers to click hashtag stickers to view similar stuff. 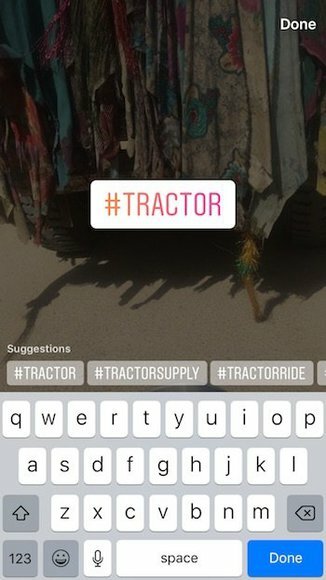 Click on Sticker icon while creating Instagram Story and you will new Hashtag Sticker. Click on it and write your hashtag. Btw, do you know you can view your Instagram Stories right from your desktop. Users will now be able to record videos in reverse with Rewind. All you got to do is click Stories camera, swipe left and choose Rewind option and shoot a short video. To your surprise, the video will play back in reverse. Hope following the tutorial on how to use new Face Filters in Instagram Stories is clear! Not only that, I hope now you know how to use new Hashtag Sticker and Rewind features in your Instagram Stories. I simply love this feature infact a list of features that will improve the way we enjoy using our much loved Instagram.